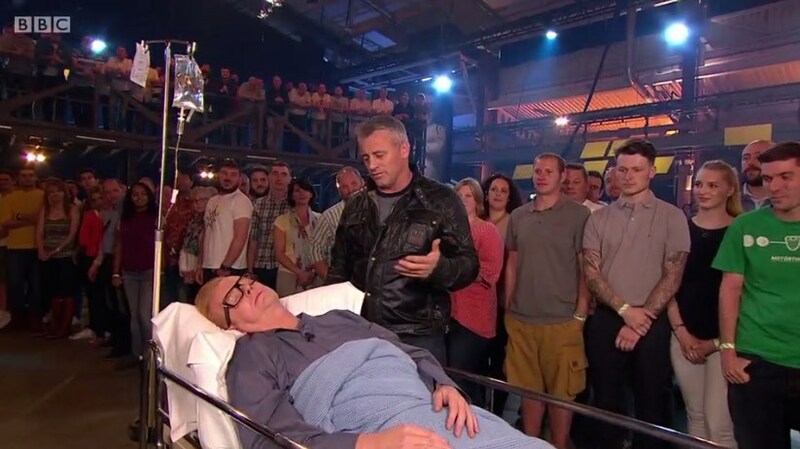 Following the popularly watched, if widely criticised, first episode of Top Gear season 23, we suspected that a large proportion of last week’s viewers had simply tuned into the motor show’s much talked about premiere to watch the unpopular new presenting duo of Chris Evans and Matt LeBlanc crash and burn. We therefore knew that the real test of the updated show’s success would be in its second episode, which aired on BBC Two last night (Sunday June 5th). 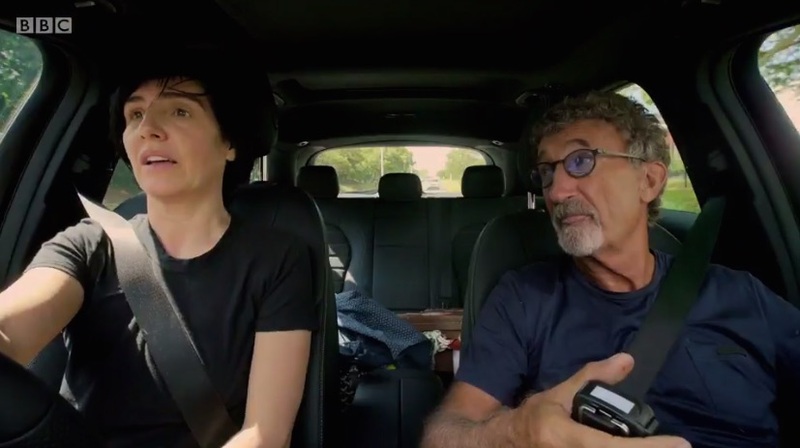 And, to give credit where credit’s due, those who gave the new Top Gear‘s second episode a chance were rewarded by a little more fun and a little more balance than the show’s first outing. We couldn’t help ourselves at being amused by Chris Evans’s self-referential opening monologue, addressing last week’s criticisms with: “Tonight, I get even more ‘shouty’. And Matt has a ‘serious’ word”. Ol’ Trump hair then entered the studio on a stretcher – supposedly sedated after getting too over excited. As you can see from their poker faces, the studio audience wasn’t all too impressed by the gag, which was used to introduce Evans’s spin in a £10 million McLaren 675LT with Jensen Button. At this point we were glad to see that in spite of the lame jokes, the show’s still keeping fast cars at its core. And we were soon after treated to the other main reason we’ve stuck on as viewers (for now, at least): the globetrotting. We’ve gotta admit, this segment was nicely entertaining, with the seemingly random pairings bringing some light, family-friendly fun to our Sunday night. In all, as the episode drew to a close, we realised this new Top Gear isn’t so bad as we’d first feared. Ultimately, the show is still providing us with the cars, challenges and holiday destinations we used to love it for, even if the presenters haven’t quite figured out their equilibrium yet. It certainly seems like they’re working on it, though. 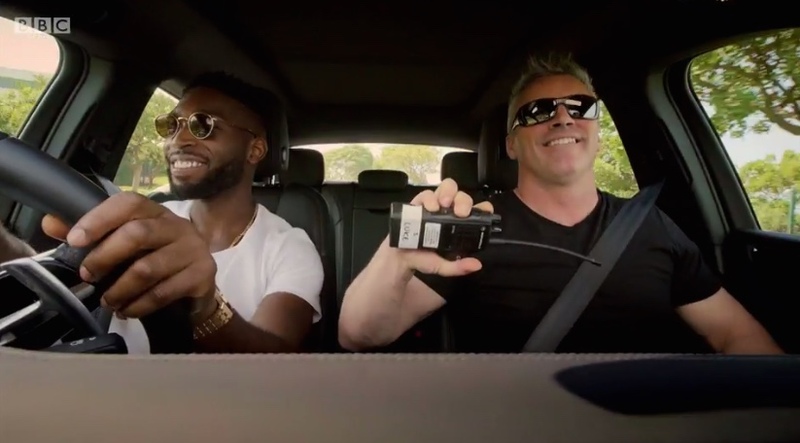 Top Gear continues on BBC Two this Sunday at 8pm, with guests Chris Harris, Anthony Joshua and Kevin Hart.